This copy is bound in full older calf, a very sound and impressive copy. The Rheims version and the Bishops’ Bible version in parallel columns, with Fulke’s commentary at the end of each chapter. The Rheims version is translated from the Vulgate chiefly by Gregory Martin; the Bishops’ Bible translation was overseen by Matthew Parker.In England the Protestant William Fulke ironically popularized the Rheims New Testament through his collation of the Rheims text and annotations in parallel columns alongside the 1572 Protestant Bishops’ Bible. Fulke’s work (as here) was first published in 1589; and as a consequence the Rheims text and notes became easily available without fear of criminal sanctions. Not only did Douay-Rheims influence Catholics, but also it had a substantive influence on the later creation of the King James Bible. The Authorized Version is distinguished from previous English Protestant versions by a greater tendency to employ Latinate vocabulary, and the translators were able to find many such terms (for example: emulation Romans 11:14) in the Rheims New Testament. Consequently, a number of the latinisms of the Douay–Rheims, through their use in the King James Bible, have entered standard literary English. Douay-Rheims would go on through several re-printings on both sides of the continent. The translators of the Rheims New Testament appended a list of neologisms in their work, including many latinate terms that have since become assimilated into standard English. Examples include “acquisition”, “adulterate”, “advent”, “allegory”, “verity”, “calumniate”, “character”, “cooperate”, “prescience”, “resuscitate”, “victim”, and “evangelise”. While such English may have been generated through independent creation, nevertheless the totality demonstrates a lasting influence on the development of English vocabulary. In addition the editors chose to transliterate rather than translate a number of technical Greek or Hebrew terms, such as “azymes” for unleavened bread, and “pasch” for Passover. Few of these have been assimilated into standard English. One that has is “holocaust” for burnt offering. 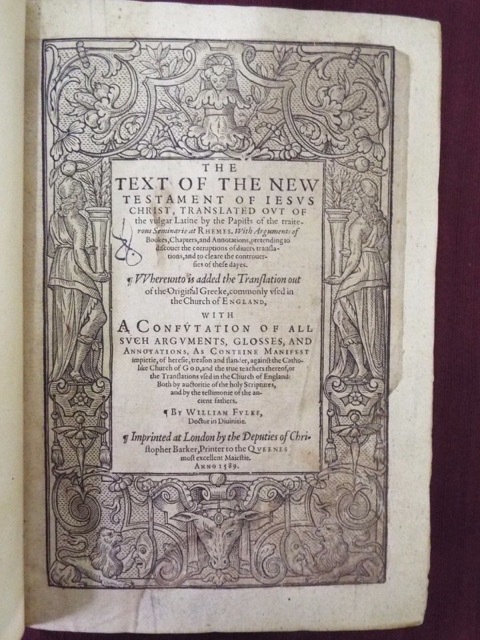 The First English Catholic New Testament in English,printed in England. “The ‘editio princeps’ of the Roman Catholic version of the New Testament in English. Translated from the Vulgate by Gregory Martin, under the supervision of William Allen and Richard Bristow. According to the “Douai Diaries”, Martin began the translation in October1578 and completed it in March 1582. “The translation adheres very closely to the Latin, though it shows traces of careful comparison with the Greek. But its groundwork was practically supplied by the existing English versions, from which Martin did not hesitate to borrow freely. In particular there are very many striking resemblances between Martin’s renderings and those in Coverdale’s diglot of 1538. Martin’s own style is often disfigured by Latinisms. “Since the English Protestants used their vernacular translations not only as the foundation of their own faith but as siege artillery in the assault on Rome, a Catholic translation became more and more necessary in order that the faithful could answer, text for text, against the ‘intolerable ignorance and importunity of the heretics of this time.’ The chief translator was Gregory Martin… Technical words were transliterated rather than translated. Thus many new words came to birth… Not only was [Martin] steeped in the Vulgate, he was, every day, involved in the immortal liturgical Latin of his church. 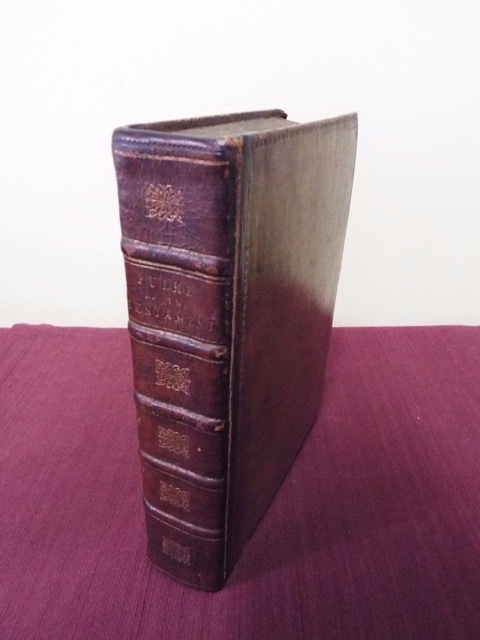 The resulting Latinisms added a majesty to his English prose, and many a dignified or felicitous phrase was silently lifted by the editors of the King James Version and thus passed into the language” (Great Books and Book Collectors, 108). 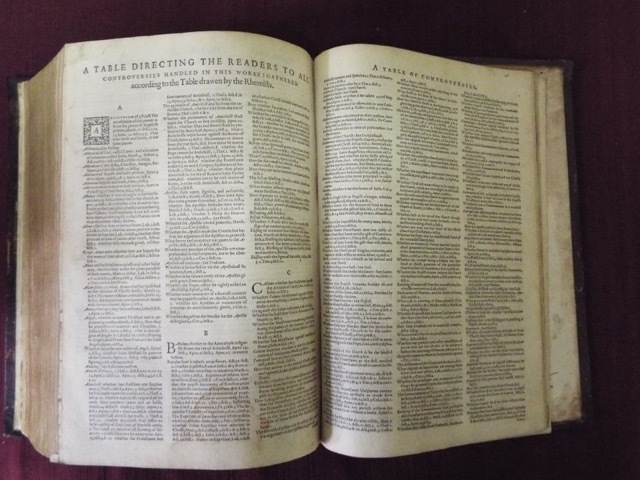 The names, numbers, and chapters of the Douay–Rheims Bible and the Challoner revision follow that of the Vulgate and therefore differ from those of the King James Version and its modern successors, making direct comparison of versions tricky in some places. For instance, the books called Ezra and Nehemiah in the King James Version are called 1 and 2 Esdras in the Douay–Rheims Bible. The books called 1 and 2 Esdras in the KJV are called 3 and 4 Esdras in the Douay, and were classed as apocrypha.